The Welfare State: Where’s the Freedom and Responsibility? The United States of America is a welfare state, per the second definition. According to the most recent available statistics from the Census Bureau (4th Quarter, 2012) 35.4% of Americans are on one or more means-tested programs, and 49.5% of Americans received benefits from one or more programs, including non-means-tested programs, such as Social Security. The number of people on benefits is growing, while the relative number of people supporting those benefits is decreasing. There was a time when there were no benefits, and people were expected to exercise personal responsibility regarding their financial situation. Now, as much as 70% of American families receive more from the government than they pay in taxes. This is not sustainable, any more than it is moral. Some may object to the inclusion of Social Security as a welfare benefit. After all, it’s your money, right? Wrong. SCOTUS ruled in 1937 (Helvering vs. Davis), “The proceeds of both [the employee part and the employer part of Social Security] taxes are to be paid into the Treasury like internal-revenue taxes generally, and are not earmarked in any way.” Social Security withholdings are just a sneakier part of the income tax. SCOTUS ruled in 1960 (Flemming vs. Nestor), “A person covered by the Social Security Act has not such a right in old-age benefit payments as would make every defeasance of ‘accrued’ interests violative of the due process clause of the Fifth Amendment.” Yeah, lots of legalese. It says more, but basically they don’t have to pay you, even though you paid them. I feel like I’m already spending too much time defending inclusion of Social Security as a welfare benefit, but here’s one more point: the first person who ever drew Social Security was Ida May Fuller. She paid in $22.54 over three years, and then drew $22,888.92 in Social Security benefits over the next 35 years. Clearly, benefits aren’t directly dependent on inputs. Welfare benefits are ultimately a redistribution of wealth scheme: they take from young people and give to old people, or they take from rich people and give to young people, or they take from some other people and give to yet other people. If the recipients did this directly — without layers of bureaucracy between them and the victims — no one would be confused about the nature of this redistribution. Anybody could see it was theft, plain and simple. Tragically, legality confuses issues of morality for many. Setting aside the issue of theft, a major problem with the welfare state is expressed well in the first definition: “a political state [assumes] primary responsibility for the individual and social welfare of its citizens.” Since when is it the role of government to be responsible for “the individual and social welfare of its citizens?” The very idea is nonsensical. As Southern Baptist preacher Adrian Rogers said, “The government cannot give to anybody anything that the government does not first take from somebody else.” Taking from some of its citizens would violate its responsibility to care for their welfare. And if it doesn’t take from them, it has nothing to care for the welfare of the others. I’ll wrap this up now. As y’all know, I focus on the twin principles of freedom and responsibility. The welfare state violates both of these: the former by taking from people what they’ve earned, and the latter by giving to people what they haven’t earned. 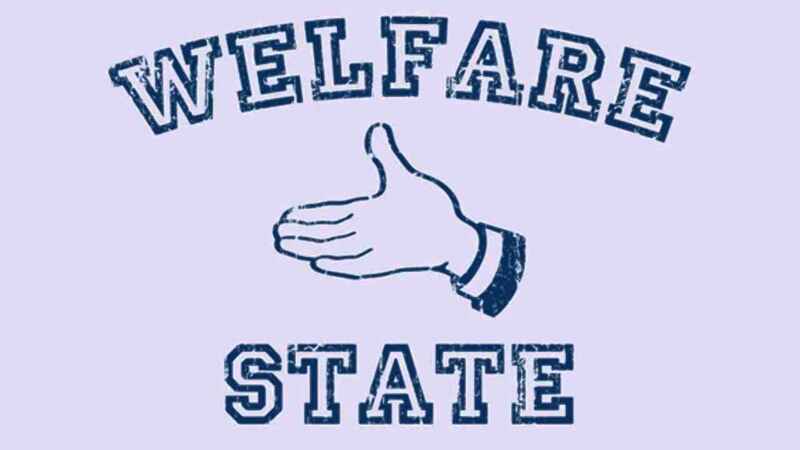 The welfare state needs to end. Elijah J. Henry is a libertarian freelance writer who grew up mainly in the midwest, but who has spent his entire adult life in various southern States. He aspires to promote Freedom, while living free in a yet unfree world. Reach out to him for writing opportunities through his LinkedIn account at www.linkedin.com/in/elijahjhenry.